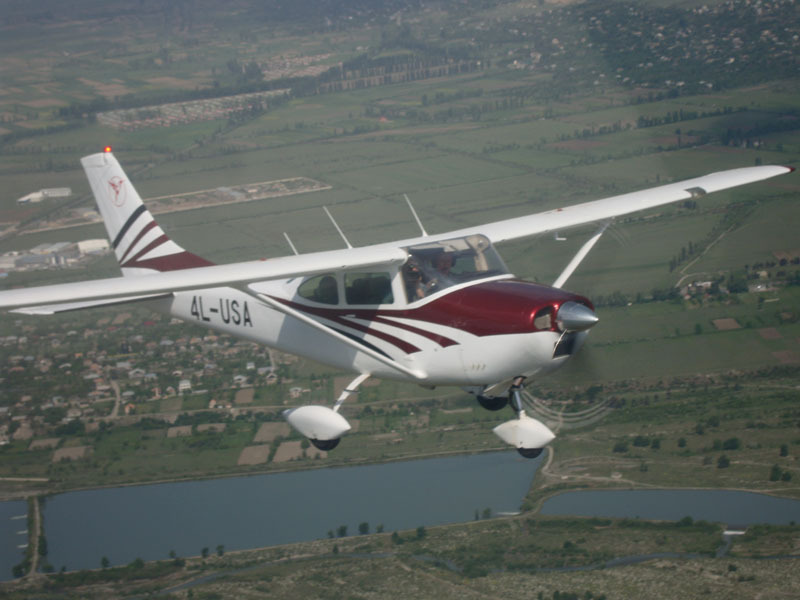 Cessna 172 is the most successful mass produced light aircraft in history. As of 2008, more than 43,000 had been built. 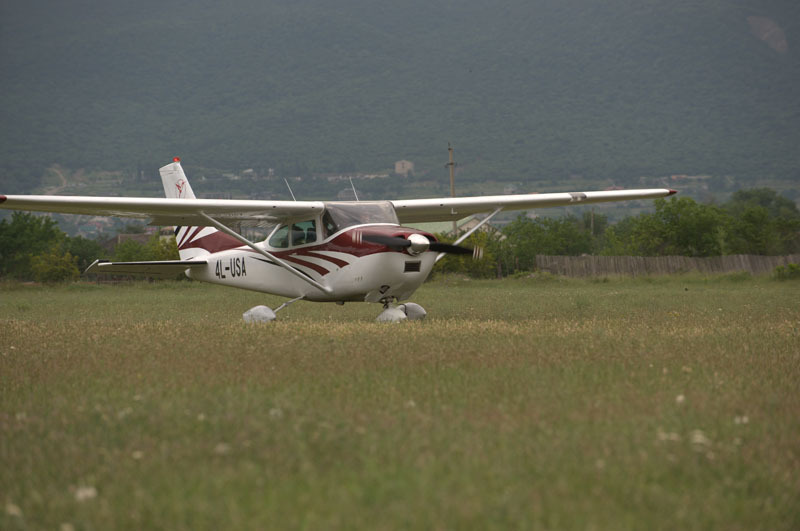 The Cessna 172 started life as a tricycle landing gear variant of the taildragger Cessna 170, with a basic level of standard equipment. 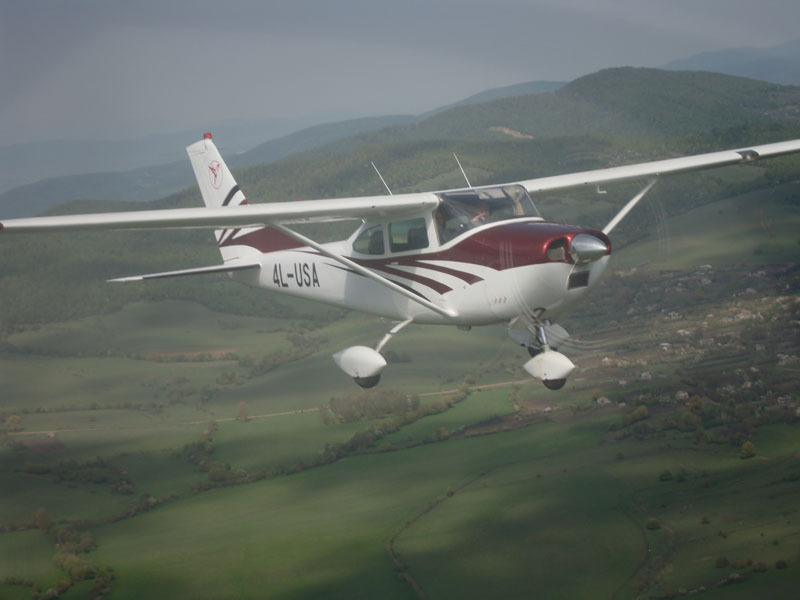 In January 1955 the company had flown an improved variant of the Cessna 170, a Continental O-300-A powered Cessna 170C with a larger elevator and more angular vertical tail. Early 172s were similar in appearance to the 170, with the same straight aft fuselage and tall gear legs, although the 172 had a straight vertical tail while the 170 had a rounded fin and rudder. Later 172 versions incorporated revised landing gear and the sweptback tail which is still in use today.The final aesthetic development, was a lowered rear deck that allowed an aft window. Cessna advertised this added rear visibility as "Omni-Vision". This airframe configuration has remained almost unchanged since then, except for updates in avionics and engines, including the Garmin G1000 glass cockpit.